Taiwan: Flush What You Don’t Like? At At the polls, Icelanders punished Conservatives. There was a poll and the leftist coalition won the game this week. I think you remember that Iceland was almost out of everything. The biggest banks had to be in the care of the government. But some people remembered their name and picture. And some of the same people, owning a pub in the capital city, put their face in the toilet. 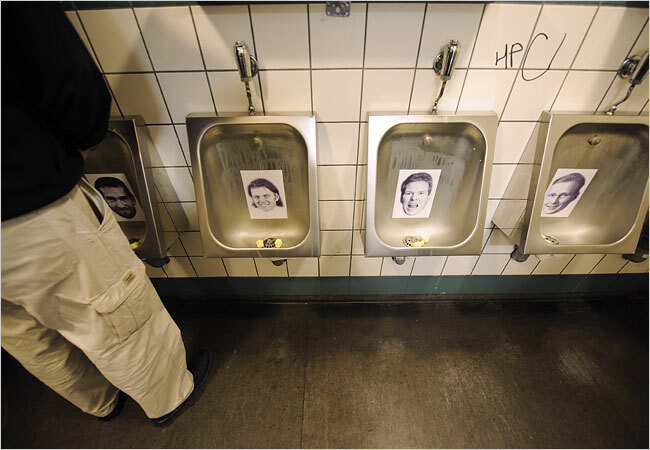 Photographs of bankers who left Iceland after the financial crisis have a new use in the restroom of a bar in Reykjavik, the capital. Taiwan: Dismiss. Nothing to See. The time when it looked like Taiwan should not show that it is not a province of China. Among other cases, one made the first page of the Taiwanese Media: the Sunrise Records shop, selling CD of any kind of music and as many music shop, playing music. But that was during the visit of the negotiator from China. The police was at that time, accused by witnesses and the owner of the shop of forcing the shop to turn off (or down) the music and even close the outside curtain. At least, it is what I read from many sources. And I do not remember any opposite point of view. Anyway, even me, I totally forgot that story. 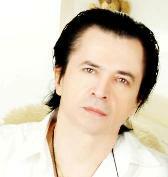 But today was the result of the investigation and… the decision from the prosecutors. Verdict is: nothing to look at. Go back home. So, the police went inside (without any warrant) asked to turn off the music and blah blah blah. What do you want the clerk do? If it really was him. That is not an evidence of using force without reason? Just because the music was a typical Taiwanese song? By the way, the chief police officer, sued in the Court, was a short time after the event, promoted to Shihlin Precinct chief in Taipei. But for outsiders, it could be easily understood that cases put to the Court are selectively chosen… by the prosecutors. But maybe I misunderstood the media. But maybe what I read from the media was incorrect. But maybe prosecutors have nothing to do with politics. But maybe the opposition party, the DPP, is an awful violent party. Are you looking at the candles? Yes… I am for ever under-aged! And the week-end I also have to handle my position as the CCO, and that, between two documents. CCO? 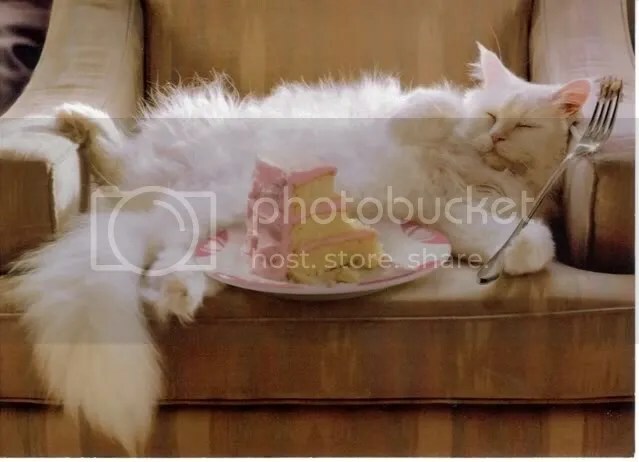 You don’t know what this top position in the ladder is? Queen D has to fly today. But… We will have diner outside today, when she is back later this afternoon before her tomorrow duty. Fortunately, today is only a short haul flight. University: Admissions, A New Way? You all know Jackie Chan, the action star. For someone, as a Hong Kong resident, who can enjoy freedom and travel freely, it’s quite funny. I do not want to comment on what he said, because that is obviously totally stupid. This week, an explosion (again) in an illegal coal mine (illegal? How come is it possible in this so beautiful China?) killed at least 18 people. According the official report, there are about 16,000 mines in China and 80% are illegal. It’s a well known fact. What did China do? Nothing. Of course, it has nothing to do with the local chiefs and party who must get some “advantages” to close their eyes on it. Maybe, you should concentrate on acting and avoid talking about subjects totally out of your league. In many countries, it is forbidden to deface legal money. But… Is it legal to throw away money? It maybe could be assimilated as defacing the money or match the regulation that it is forbidden to withdraw money from circulation. But what’s about you are really throwing away money, for example on the street? It’s true in USA and in France. I don’t know the laws about this subject in Taiwan. According the news, he put on the streets or roads quite a lot of money. What did Taiwanese police do with this guy? Obviously, it seems that throwing away money is not forbidden in Taiwan. … But throwing waste on the highway (notice that it is not street or road…) is an offense which could be fined for NT$3,000 (US$88) to NT$6,000 (US$176). So in Taiwan, money is waste? In both case, don’t you think something is “STRANGE” here? Taiwan: Corruption? You Said Corruption? According CNA and the today’s Taipei Times, the president is “distressed” after the publication from an organization based in Hong Kong (according the news) and concerning the corruption ranking of Taiwan. According this publication, Taiwan corruption is even worse than in China! He launched a conference and said that he and his administration has nothing to do with that. That remind me about the economic situation during the presidential campaign and after the election: “Taiwanese economy is so bad, we will save it!” (if you remember, the macroeconomic indicators for Taiwan were not bad at all at that time). Before the DPP, during the 50 years-KMT-power, there were no corruption? 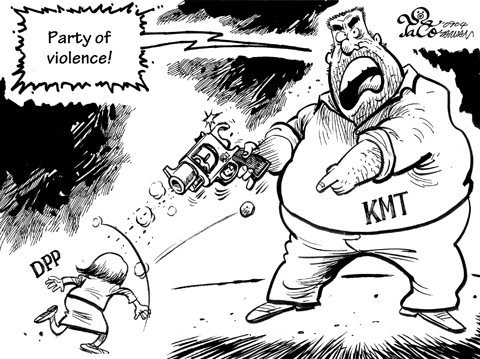 What’s about KMT members indicted for vote buying, just few weeks ago? This news is arriving “at the right” time for the president to let him talk about the actual legal cases. I tried to find on Internet, some information about this report and the organization which published it. What I got, is the fact that this report is based on a survey of foreign business executives. It seems that the report by itself is not public (?). Anyway, I could obtained some details from HeraldSun and The Australian websites. In a grading system with zero as the best possible score and 10 the worst, Indonesia got 8.32. 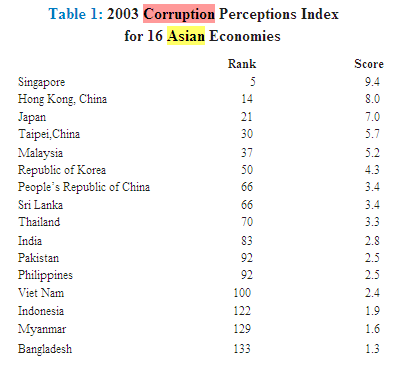 Thailand was seen as the second most corrupt country with a grade of 7.63. Cambodia was seen as the third most corrupt country with a score of 7.25, followed by India with 7.21 and Vietnam with 7.11.
the Philippines had a score of 7.0 to rank sixth from the bottom this year. It was followed by Malaysia with 6.70, Taiwan with 6.47, China with 6.16, Macau with 5.84, South Korea with 4.64 and Japan with 3.99. Singapore again topped the survey as Asia’s least corrupt country with a score of 1.07, followed by Hong Kong with 1.89. Australia scored 2.40 to be in third place followed by the United States with 2.89. So Malaysia, Taiwan and China are put in the same basket with a slightly better (?) score for China. So I went to some websites which at least, are much more “public”, “open” and well-known, like the Asian Development Bank (ADB) or Transparency International (TI). What I found is quite strange and in total contradiction to this publication from Hong Kong. You can notice that Taiwan has a much more better score than Malaysia, South Korea and China. Then, I picked up the report for 2008 from Transparency International which also provided the above 2003 data to the Asian Development Bank (ADB) – Original document could be found HERE. So now you can compare. 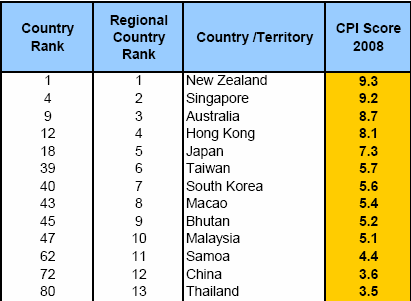 And beside the ranking, you can notice the scores for Malaysia, Taiwan and China: in the report from Hong Kong, these 3 countries are very close. In the one published by ADB and TI, there are real differences, with for China, a big gap. I do not know about you, but I am more incline to believe the analysis from ADB and Transparency International.